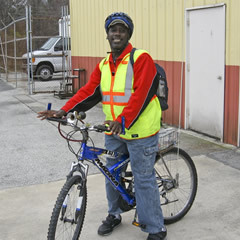 At The Arc of Putnam County, we offer a variety of rewarding opportunities for employment. If you are a talented, energetic, enthusiastic person, we will seek to match you with an exciting job opportunity within an organization that wants to make a positive difference in the lives of people with intellectual and developmental disabilities. Competitive wages, a rich schedule of benefits, and the opportunity for advancement all make The Arc of Putnam County a great place to do great things. A well-established agency operating since 1974, The Arc of Putnam County is a leading employment services provider for individuals with intellectual and developmental disabilities in Putnam County, Florida.